How many 8-year-olds know what they want to be when they grow up? Well, Brittny McGraw knew she wanted to be a journalist when she was in third grade and has been living the dream ever since then! You can watch Brittny during the week anchoring the 5:30 p.m. and 7 p.m. newscasts on WSLS 10 and reporting on news that matters to you. She’s excited to be in Southwest Virginia and close to her home state of North Carolina. Brittny is a Charlotte native and a graduate of the University of North Carolina at Chapel Hill. She started her news career behind the scenes at NBC News Channel in Charlotte. The start of her on-air career took her to WCTI-TV in New Bern, N.C., where she was a weekend anchor and reporter. Brittny traded in sandals and beach days for snow boots when she moved to WHIO-TV in Dayton, Ohio. Brittny wore a number of hats at Channel 7, serving as a weekend anchor and reporter, and filling in on the sports desk. During her time in Ohio's Miami Valley, Brittny earned an Ohio Valley Regional Emmy and also had her work honored by the Ohio Associated Press and Society of Professional Journalists. Brittny left Dayton and joined WPXI in Pittsburgh, where she anchored weekend morning newscasts and reported during the week. Brittny loves being an active member of the community and served as a mentor with Big Brothers Big Sisters of Greater Pittsburgh. She also volunteered with the United Way of Southwestern Pennsylvania’s “Open Your Heart to a Senior” program, providing support to seniors in the community. While in the Steel City, Brittny served on the board of Providence Connections, an organization based on Pittsburgh’s North Side that works to strengthen and support families, as well as on the board of Holy Family Foundation. Brittny is also an active member of Alpha Kappa Alpha Sorority, Inc.
She LOVES to hear from viewers and share news that’s happening where you live. Feel free to email her at bmcgraw@wsls.com. This year marks the fifth project WSLS 10 has done in partnership with Habitat for Humanity and generous community sponsors. 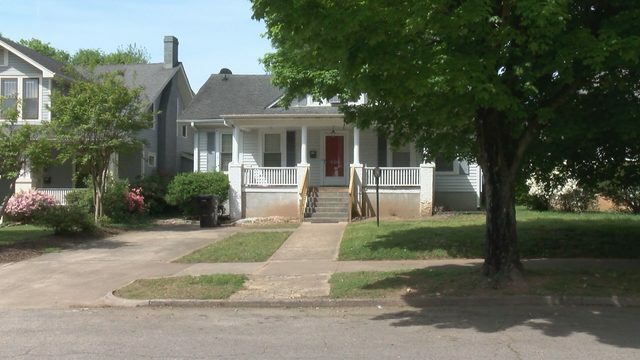 WSLS 10 is excited to partner with Habitat for Humanity in the Roanoke Valley, generous community sponsors and The Journey FM to once again help a deserving family in the area experience the joys of home ownership. Children in Roanoke had a chance to learn the game of hockey from some of the best. News that DNA evidence may have confirmed the identity of infamous serial killer Jack the Ripper has been making headlines recently, especially since that evidence is more than 130 years old. A phone call claiming your child has been kidnapped would make any parent's heart sink, but the FBI warns that it is probably a scam. It was January of 1960, and 13 African-American students in Floyd County were poised to make history. A little more than an hour of your time could help you learn to save a life. In honor of American Heart Month, 10 News has been sharing how to stay heart healthy through good nutrition and regular exercise. Every parent hopes their baby arrives healthy, but tens of thousands of children are born every year in the U.S. with congenital heart defects.